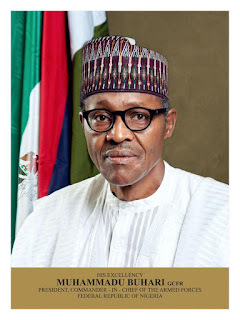 President Muhammadu Buhari on Saturday condemned in strong termS the latest terrorist attack on Maiduguri. He equally sternly warned that his new administration would not tolerate wanton and willful destruction of life by criminal elements that are bent on anarchy. The warning was contained in a statement issued by the Head, President Muhammadu Buhari Media Team, Garba Shehu. Reacting to the latest attack which left scores of people dead, injured and maimed, Buhari assured that his administration meant business in its determination to tackle terrorist violence with all the resources available to his government. While describing terrorists as cowardly murderers that target innocent people, the president also explained that as the Commander-in-Chief, he has sworn to protect the security of Nigerians everywhere. The President, while calling for increased vigilance by local communities, reassured that his administration would give security close attention. He added that his government was committed to boosting the morale of our armed forces by effectively funding them and attending to their welfare. He condoled with the families of the victims of the latest terrorist attack on Maiduguri and assured them that the days of these criminal elements will be over soon.